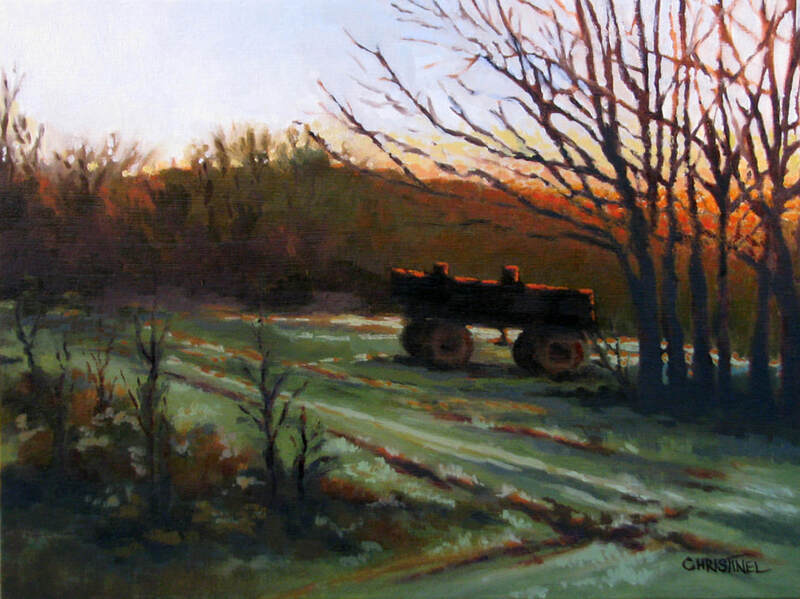 The first prize winner was Claire Christinel, for her lovely landscape "Daybreak." Second place went to Kerry Fleetwood for her still life entitled "Pepper Bowl. Third place was a wonderful floral by Joane Moran, AFCA, entitled "Jazzy." There were also three Honourable Mentions at the show. The first of these was Kathy Cameron, AFCA, for her piece "American Agriculturist." An Honourable Mention also went out to Jennifer Olsen, AFCA, for her work "Glass Triad." The final Honourable Mention was received by Ed Araquel for his painting entitled "The Hogan Grip." The votes are in! Gordon Smith won People's Choice with his painting, "Cricket Pitch". Runners ups were Sheryl Fisher for her piece, "Insomnia" and Jennifer Olson for her piece, "Glass Triad." Congratulations! Art Pick Up will be 4:00 - 5:00 pm December 1. Two pieces per person-No size restriction. Open to members of Victoria FCA only.